No injuries were reported in either incident, Google said in its monthly report that lists accidents involving its fleet of autonomous cars. Both collisions involved Google's Lexus sport utility vehicles that are equipped with autonomous driving technology. Last month, Google also began testing on the streets of Mountain View another one of the self-driving prototype cars it has built. In one accident, a car travelling around 5 miles per hour hit the rear bumper of a Google Lexus that had stopped at a red light. Both cars ended up with small scrapes on their bumpers. The second incident also occurred when a Google car was stopped at a red light and was hit from behind. That offending car was moving at less than 1 mile per hour, and neither vehicle was damaged. According to June's report, Google has 23 Lexus vehicles and two of its 25 prototype cars self-driving around Mountain View, where the company is based. In the coming months, more prototype cars will hit the road, the company said. In May, Google began issuing monthly reports on accidents involving its autonomous cars. The state of California also requires a report to be filed when a self-driving vehicle is involved in a collision. Google claims its self-driving technology hasn't been at fault in any of the collisions involving its cars so far. Instead, drivers in other cars or humans who were driving the Google vehicle have been to blame. Since Google began testing self-driving vehicles in 2009, its cars have been involved in 14 "minor" accidents, said the company. 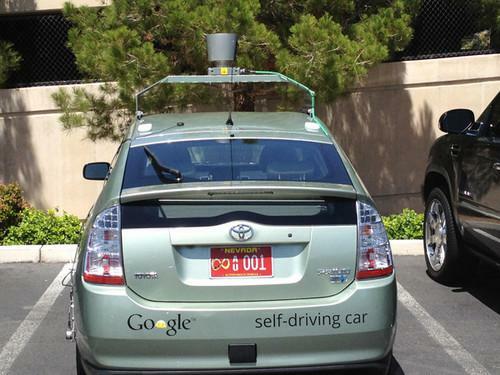 With 48 vehicles, Google has the largest fleet of self-driving cars in California. However, the search giant isn't the only company exploring autonomous driving. Electric auto maker Tesla operates a fleet of 12 driverless vehicles in California while car component manufacturer Delpi is developing sensors and software for self-driving systems.